2 oar sleeves with oar rite's/ these make rowing the boat an ease ! 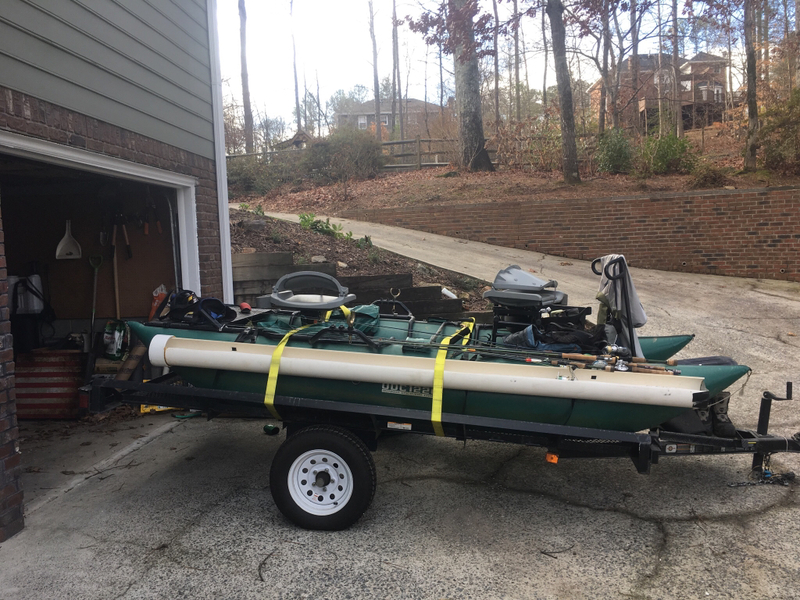 45lb thrust trolling motor (Yes it will push the boat up river on the hooch). Heavy duty straps for the boat and trailer. 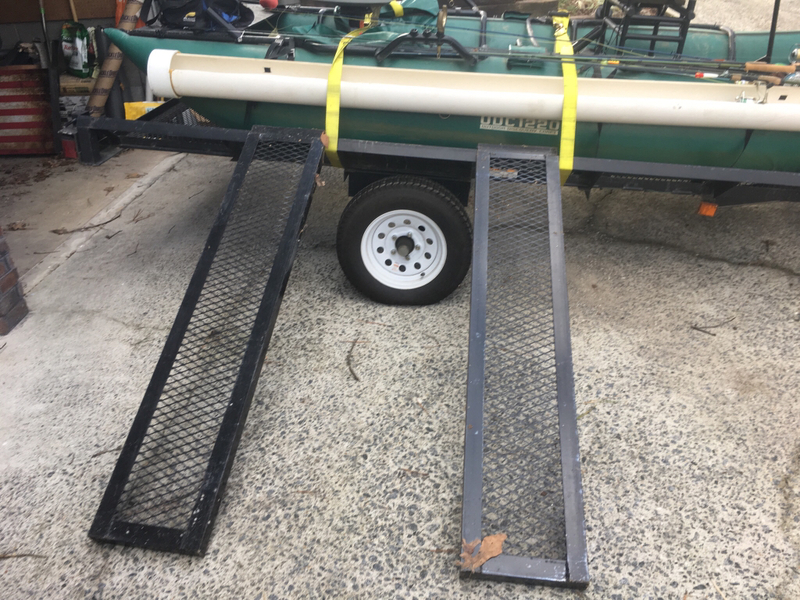 Custom 10 foot PVC rod holder, will hold as many Fly rods as you can put in it. The boat itself is great condition and has always been stored in the garage and air kept in the pontoons. The boat has never been patched and has been taken good care of. The frame itself is aluminum and does have some wear from the rowers feet. I am the original owner and the boat is registered for outboard motor since it comes with trolling motor. 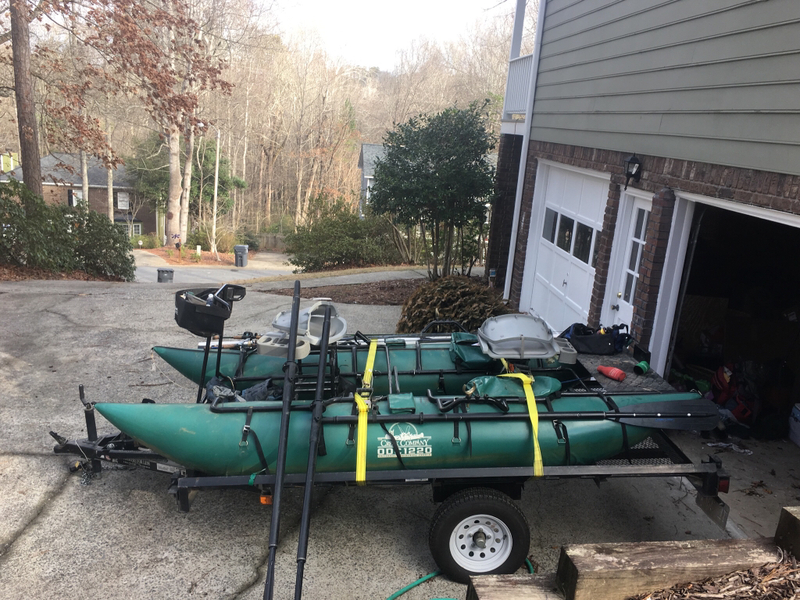 The trailer itself has limited miles (to and from the hooch and occasional trip to the toccoa). The boat is very light and rows great. The only thing you would need is water as this boat is ready to go! The frame can even break down and be setup for 1 man. The boat is very sturdy and can hold plenty of weight.